click photo to enlarge The city I live in, Upland, CA., hosted the 31st annual Unique Little Car Show. And the cars were small and unique that's for sure. There were a number of vehicles I had never seen before and it was a nice change. 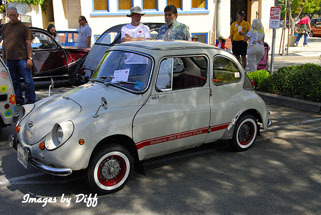 The vehicle to the left is a Fiat 600 Jolly. It has wicker seats and the car was designed for the ultra rich to use on their yachts according to wikipedia. For example, Aristotle Onassis owned one. 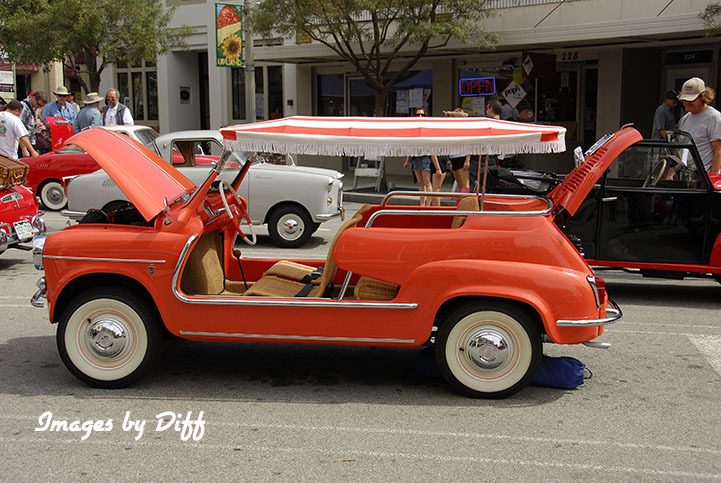 click photo to enlarge This vehicle to the left is a 1960 Subaru. Hard to believe the vehicle I drive, a Subaru Forester, came from this lineage. There were of course plenty of the original Mini's that were first named Morris. 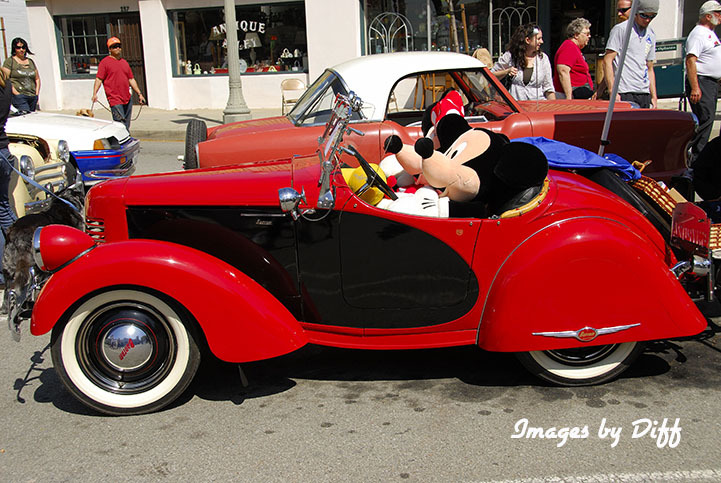 The vehicle with Mickey Mouse is an American Bantam. 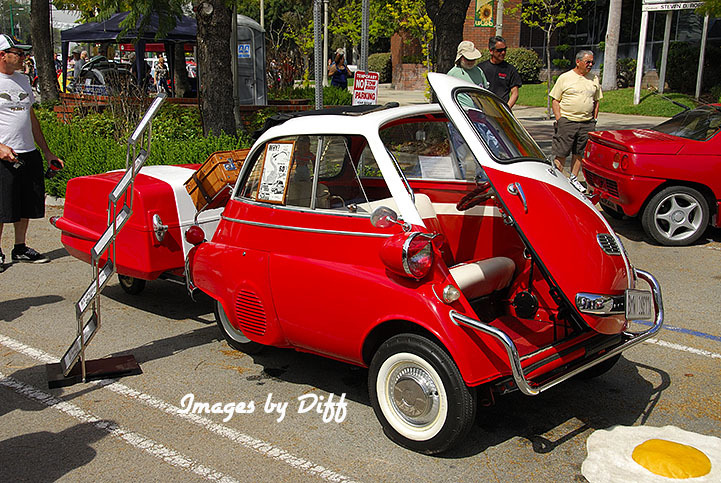 click photo to enlarge Below left is the BMW Issetta. 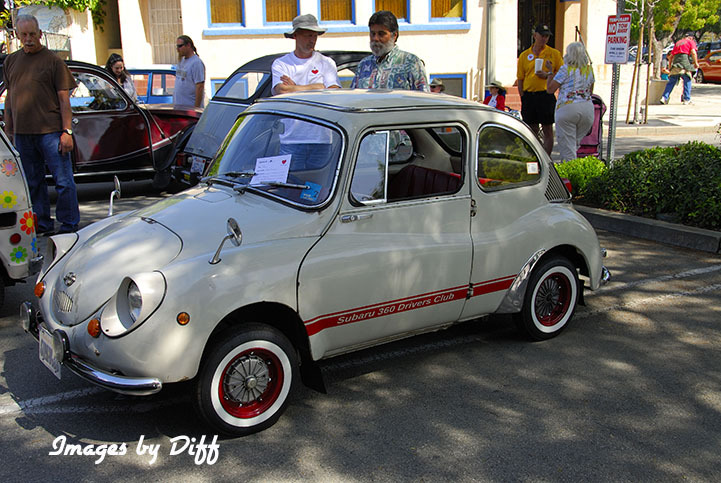 It was first an Italian vehicle that came to be made in a few different countries with each one being a little bit different. 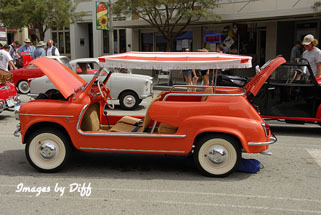 Originally the design was only 3 wheels but it tended to tip so they made it with 2 wheels in the back spaced close together. Below is a 1960 Fiat 600 Multipla. 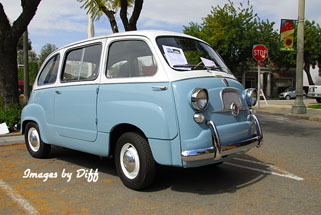 This vehicle was widely used as a taxi in Italy. The engine was 633 cc and could accelerate from 0 to 50 in 43 seconds<grin>.